While informal settlements are rightly criticized for their lack of hygiene and low-level living conditions, their underlying social and cultural networks are a testimonial to the unwavering courage and resilience of their inhabitants. Equally, the associated informal economic activities proliferate and basic urban services are increasingly provided informally. 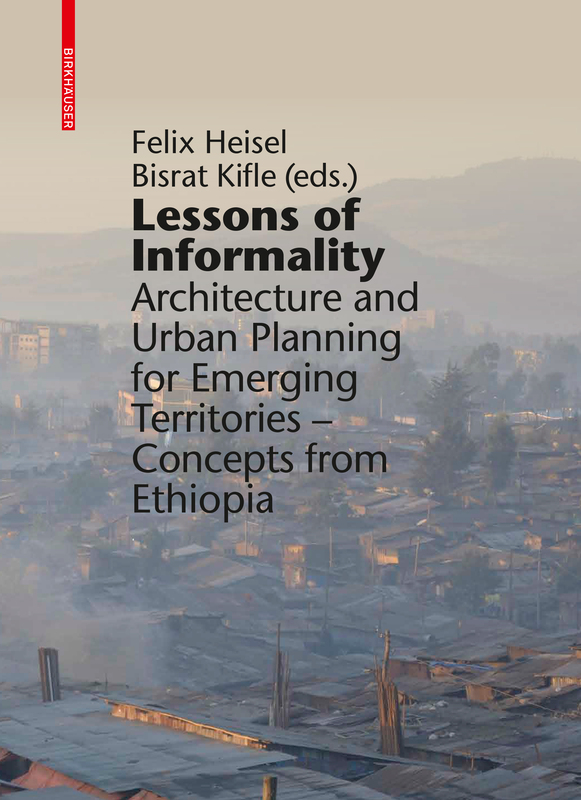 Using the Ethiopian capital Addis Ababa as an example, this publication by an interdisciplinary team of authors from urbanism, sociology and architecture analyzes informal housing options as well as economic strategies such as microloan or bottom-up insurance systems. It intro-duces typical informal professions such as the Kuré-Yalew (refuse collector), who acts as an “urban miner” and contributes a valuable service to the community by recycling materials. Thus, Lessons of Informality describes an array of planning strategies and possibly even a roadmap to a resilient city in emerging territories. The book includes a DVD of _Spaces, containing the six documentaries on informality in Addis Ababa.